I don't know about you, but I am feeling the summer vibes something fierce! 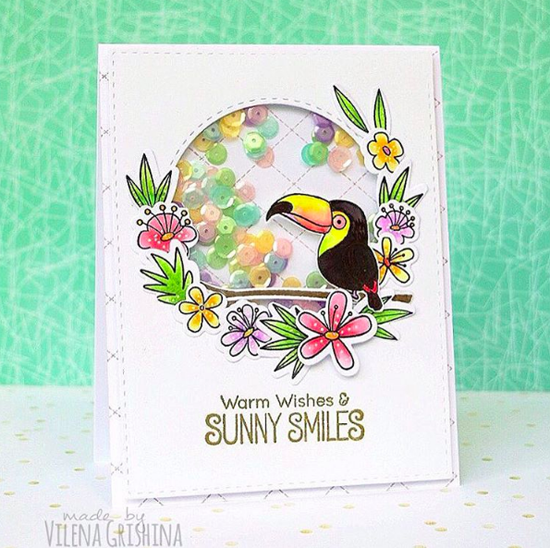 I spotted Vilena's tropical card on Instagram and her use of the Blissful Blooms and Polynesian Paradise stamp sets paired with a shaker card is just so much fun! Creative Team member Donna Mikasa spotted Amanda's card on Instagram and followed it to her blog. Donna quips, "She stamped and die cut a TON of rainbow goodness!" 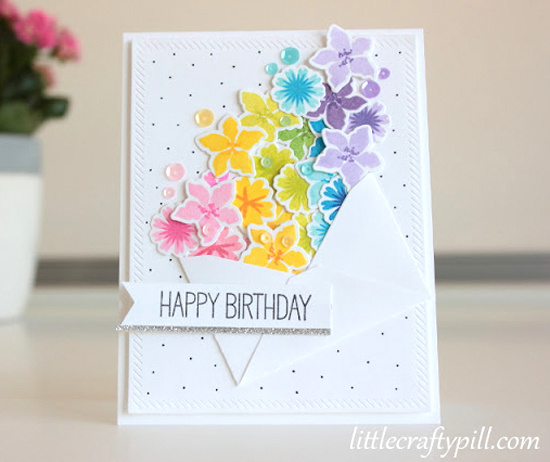 Amanda's colorful use of the Mini Modern Blooms stamp set and Die-namics is quite inspiring. 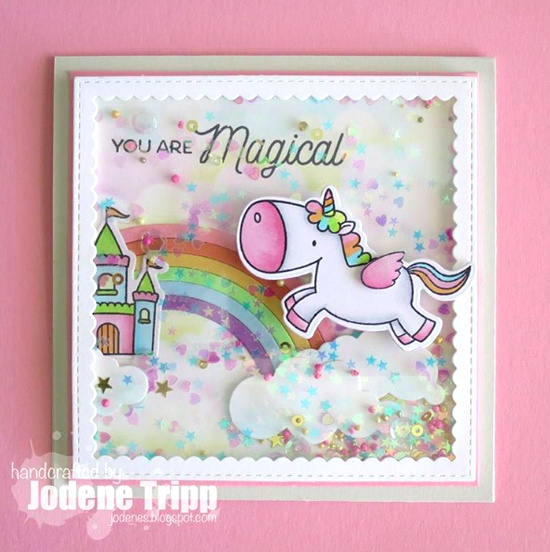 Jodene crafted up this gloriously magical shaker card using the Magical Unicorns stamp set and Die-namics. Oh my goodness, it's a cotton candy DREAM. Can we stop for a moment and simply bask in the gorgeousness of this card by Olga? I am smitten with her use of the Circle Scribble Flowers stamp set and the coordinating Scribbles Die-namics. Wait. Scroll back up and look at it again. Simply divine. Snuggle Bunnies and scallops are a sweet as pie combination. 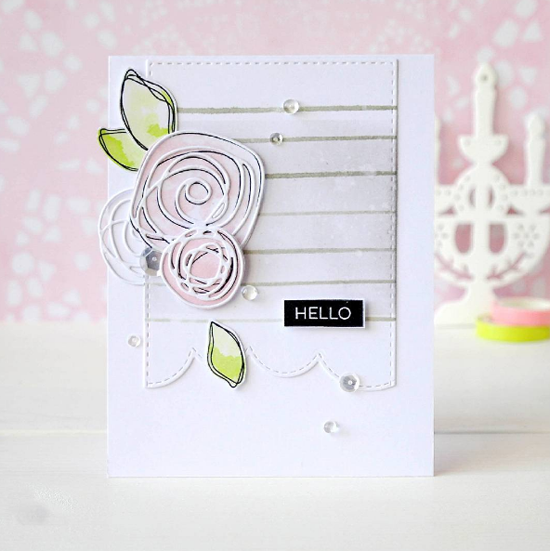 But the addition of the Four Way Chevron Cover-Up Die-namics on crafty_m0chi's card is a cool twist on cute. Her color combination is super fresh and pretty! Thanks for using MFT, ladies! You've left us inspired, and that's what it's all about! See you tomorrow for another great Sketch Challenge, and look for the next MFT Color Challenge this Thursday, May 26th! Love these--great job on them!